This short-sleeved, peach-colored nightshirt is just the thing for relaxing nights! Soft single jersey made of cotton and modal ensures maximum comfort and gets a fashionable look thanks to the cream-colored stripes. 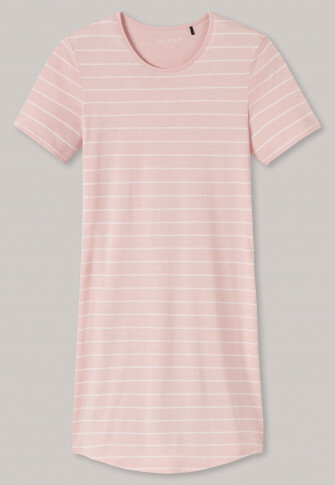 A peach-colored offset crew neck and rounded hem are some charming details. A comfortable favorite in the best SCHIESSER quality!